GLF30. 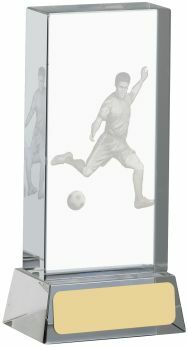 Glass Football Block with encapsulated 3D Football Player inside the award. Available in 3 sizes.